It was February in Boston, and that meant it was time to escape to a warmer climate. In the depths of a New England winter, it’s important to get a dose of vitamin D and remember what the sun feels like on your skin, even if it only lasts a week. This year’s destination: Key West. I’m sure every Key West travel guide will tell you to check out the famous Duval Street. As our hotel concierge explained it, there is a loud, raucous, party side of the street and a quiet, art gallery, shopping side of the street. Even if you don’t go in anywhere, it’s a fun walk just for the window shopping and people watching. This is another one that you’ll find on a lot of lists. 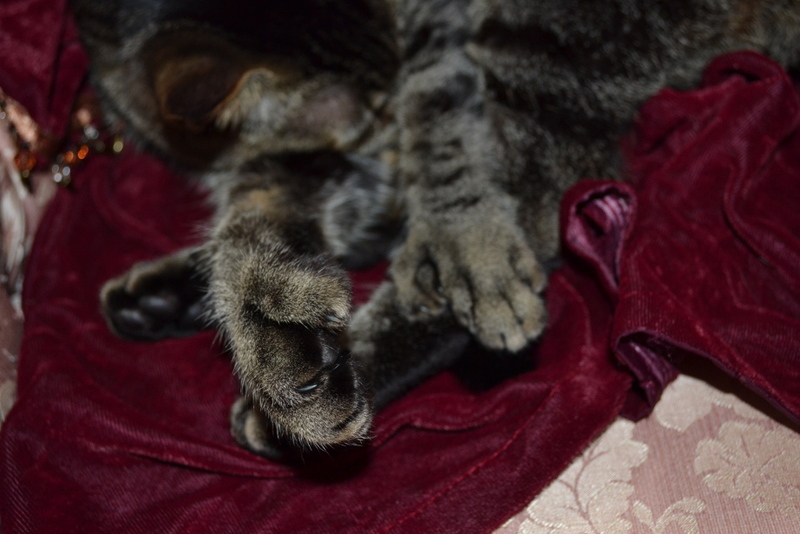 If we’re being honest, I think the biggest lure for me and my husband was the chance to see the cats, especially the famous six-toed ones. Apparently there are 54 cats on the property! They just roam around and sleep on the furniture, acting like they own the place. 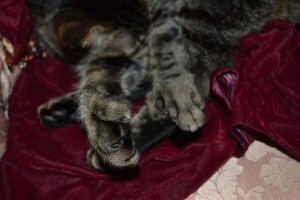 Not all are six-toed, but we did spy some that were. Cats aside, our house visit was more enjoyable than I expected. I suggest waiting for one of the house tours. Our guide, Stan, did an excellent job telling us about the life and times of Hemingway while mixing in a number of entertaining anecdotes. Truly a very enjoyable time, even for someone who knows nothing of Hemingway’s work. It gets busy, and it’s a little touristy (street performers and the like), but it is a great place to enjoy the sunset. We were there on a somewhat chilly day, and it was still a bit crowded. We beat the crowds by getting a drink and some artichoke dip at the Westin, which allowed us to sit on a nice patio on the water, enjoy a tasty snack and watch the sky light up and the sun slip away. 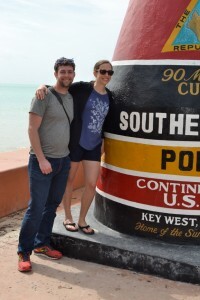 Get a Picture at the Southernmost Point. C’mon, you have to do it! Be ready to wait in line and be choosy about who you ask to take your photo. I chose poorly. 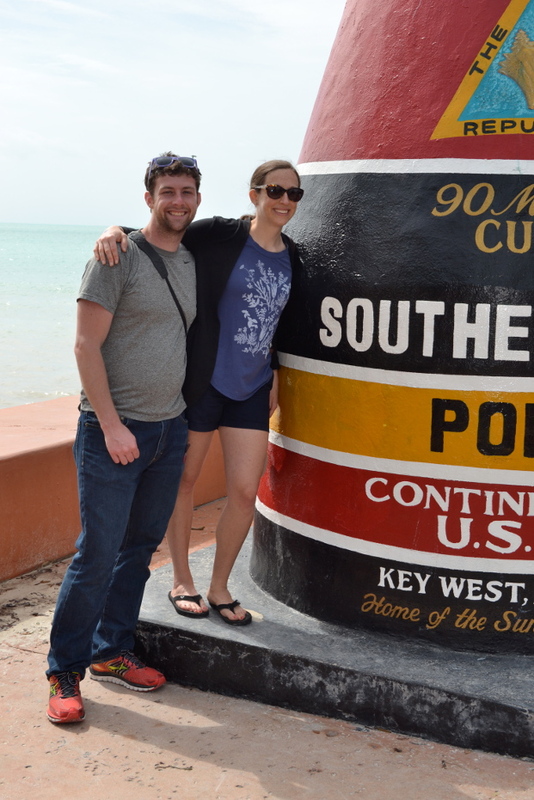 The Southernmost point in the continental U.S. Only 90 miles to Cuba. This one requires a bit of planning and a bit of cash. The Yankee Freedom runs a daily ferry from Key West to the islands, which are 70 miles away. Most people book in advance, and you can camp in the park if that appeals. It’s a two and a half hour trip each way, so this is a full day experience. Once on the island, you have around three hours to explore – there’s a fort you can tour, some lovely beaches to lie on and plenty of snorkel options. It’s a cool day trip and certainly worth it, but here’s my warning to all readers with anything less than an ironclad stomach: the ride can get bumpy, especially heading out there. People got sick on the boat. I was one of them. BUY DRAMAMINE! The seasickness aside, though, it really is a nice day. I recommend going! This was the surprise activity of the trip. I didn’t expect much going in, but the Key West Butterfly and Nature Conservatory on Duval Street was a true pleasure. There are birds chirping, lush plants, flowers growing all around and gorgeous butterflies everywhere you look. 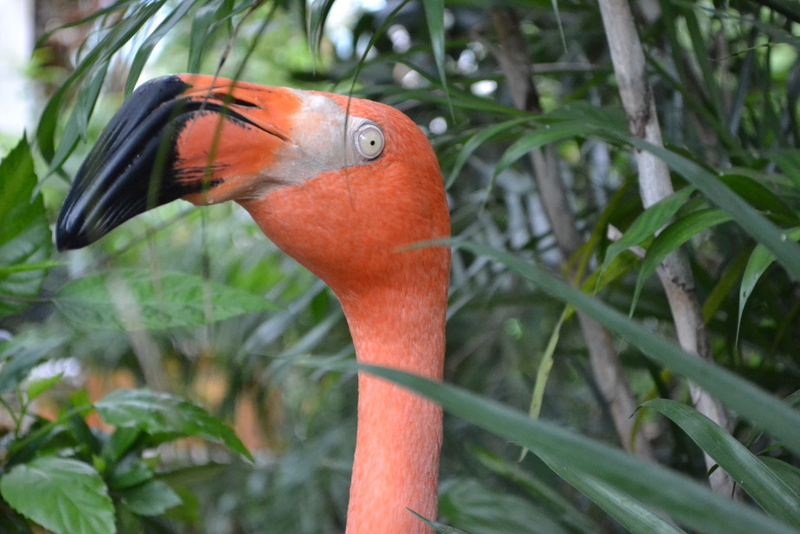 I enjoyed the pair of comical flamingos, Rhett and Scarlett, who bobbed their heads around in unison nearly the whole time. The conservatory is rated a number one Key West attraction, and I can see why. I really think this is worth the visit – would be great for kids. Our hotel had a brochure offering a couple of dollars off of admission, so check your lobbies for discount possibilities before heading over. Rhett or Scarlett, hard to say. I was surprised to find out that Key West, while lovely in many ways, does not have great beaches. If you’re looking to lounge on the sand, I’d suggest a different island. 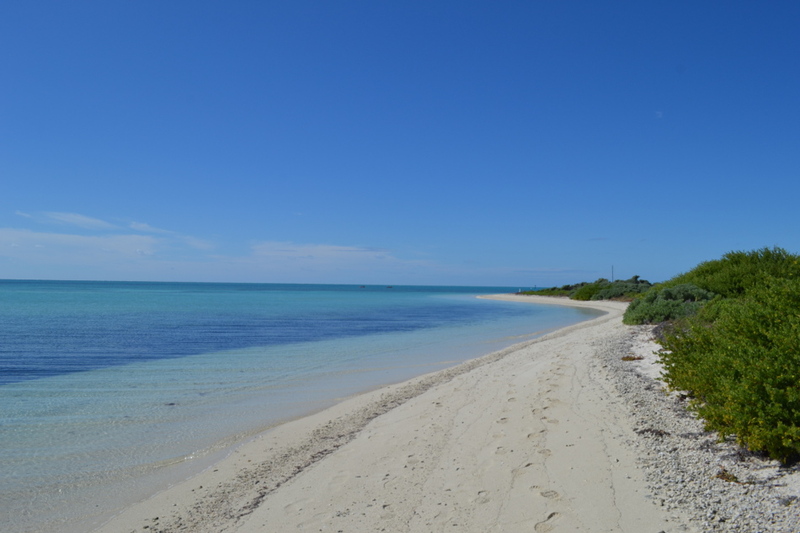 However, one nice little beach you can visit if you’re just looking to get a fix is Fort Zachary Taylor State Park. You can also walk around the fort if that’s of interest.